Take advantage of the strong outlook for business analysts (12% growth over the next decade)—Nebraska Business will enable you to advance your career by strengthening your skills in quantitative business methods, tools, and software. $630 per credit hour—a savings of almost $18,000 compared to similarly ranked programs. M.S. Business analytics applicants are expected to have developed proficiency in using Microsoft Excel before they begin the program. After applying, typically on the next business day, applicants will receive an email granting access to TrueYou and MyRED, including MyRED’s “Application Status in Graduate Studies” page and its upload tool. Uploaded transcripts are unofficial but sufficient for application review. We do not accept transcripts by email or fax. Sign up and we’ll send you everything you need to know about the M.S. in Business Analytics. If you have an immediate question, contact our Graduate Business office. A business analytics degree has broad appeal for employers and is designed to build on any background. You will master skills that are transferable to any industry where interpreting and applying data leads to better decisions. 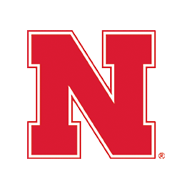 Nebraska pairs easy-to-use and engaging course technology with world-class Big Ten faculty to give you a dynamic, yet accessible learning experience. Your current job and commitments are priorities—yet balance is possible. Nebraska’s classes are offered online in 8-week sections and are optimized for mobile platforms. Whether your background is in business or another discipline, your professors will engage you with the latest topics and methods in business analytics, as representatives of one of the best performing academic conferences in the nation. After gaining access to a global classroom, you can make meaningful connections to experienced colleagues around the world. Resources such as a career coach, a strong culture of networking and our online resume review will help launch you ahead in your career. Nebraska’s M.S. in Business Analytics is one of the best values for the money because of our combination of fair program cost and strong preparation for career advancement. The flat $630 per credit hour rate applies to all students, regardless of where you live. Compared to similar programs, our students pay over $18,000 less over the course of the program. Business analysts are paving the way for innovation in productivity and competition. Core courses for the M.S. in Business Analytics program will provide you with comprehensive skills directly applicable to this emerging discipline. This course builds an understanding how financial transactions, company investments, and operating activities are recorded into financial statements. You will gain insights on economic events and accounting from a user’s perspective. Following a four-stage learning approach, this course introduces marketing management theory and practice. This course emphasizes decision-making in product distribution, personal selling, advertising, pricing, and the development of integrated marketing programs, with the goal of better analyzing market forces. Effective supply chain management can help a company develop and sustain a competitive advantage. This course considers how supply chain management can be used to support corporate-level strategies. Students will learn how supply chain management can create value for customers, and will develop an understanding of the relationship between operations, supply chain management and other parts of the organization. Business analytics is the process of transforming data into information and insights that can be used by organizations to make better decisions. The course introduces the technical procedures that are used to describe data, to make predictions based on data, and to use those predictions to support decision-making. As one of the three main categories of analytic tools, predictive analytics involves applying knowledge management to analyze large quantities of data. This course will introduce students to analytic methods and statistical programming languages, such as R, that are commonly used for predictive analytics in business. The growth of information technology and statistical analysis in all sectors of the economy creates a need for individuals with advanced training in database technology. This course challenges you to study databases from the perspective of their logical organization and physical design, as well as from the perspective of managers and applications programmers. SQL, the database querying language, will be introduced in this course. Data mining uses quantitative analysis to identify actionable information from large quantities of data in support of business decision-making. This course focuses on how descriptive data mining can be successfully applied in business and describes the statistical and artificial intelligence tools that are most commonly used in industry. This course addresses the simulation of business systems that are subject to uncertainty and risk. Upon completion of this course, students will be able to perform the entire process of designing a simulation model, implementing it in appropriate software, executing the simulation, collecting and analyzing output data, and using the results to evaluate alternative decision scenarios. In this course, students gain an overview of web, social media, and consumer text analytics; analyze consumer data streams from the Internet, mobile devices, and sensors; and handle very large volumes of data. General data analysis software operation for various marketing problems, marketing platform software for general and specific tasks, and learning machines in marketing are also covered. This course is designed to help students understand how analyzing marketplace data can improve business decision-making. The course focuses on the use of quantitative analysis to support marketing mix and resource allocation decisions, and introduces rigorous tools for measuring the effectiveness of marketing expenditures. Traditional marketing measures, such as awareness, preference, loyalty, customer satisfaction, distribution levels, and market share, are also considered. This course is designed to give undergraduate and master’s level economics students an introduction to basic econometric methods, including economic model estimation and analyses of economic data. Hypothesis formulation and testing, economic prediction and problems in analyzing economic cross-section and time series data are considered. Descriptive analytics focuses on descriptions and reports of what has happened. This course demonstrates advanced descriptive analytics tools, and covers algorithmic methods such as cluster analysis, text mining, and link analysis. Issues related to Big Data and Internet of Things (IoT) are also discussed. Prescriptive analytics focuses on the use of data from the other business analytics domains, such as descriptive and predictive analytics, to achieve strategic and operational objectives. This course introduces analytical methods and software commonly used in optimization modeling in businesses. Project management involves efficiently and effectively managing people and resources to accomplish a new activity, including budgeting, scheduling, and risk management. This course equips students with the tools and techniques used for planning and managing projects, from initiation through implementation. Technological advancements related to supply chain management include sensor systems, Internet of Things, radio frequency identification systems, automated storage and retrieval systems, and distribution routing systems. This course guides you in learning the characteristics of these systems and how they can support and improve supply chain management. This course explores theory and practice of decision-making under uncertainty, graphical modeling techniques including influence diagram and decisions trees, the value of information, utility theory foundations, risk preference, multi-attribute decision modes, and the economic justification of projects. In this course, students learn the systematic analysis of processes through the use of statistical analysis, methods, and procedures as well as statistical process control, sampling, regression, analysis of variance (ANOVA), quality control, and design of experiments. A single project can have various moving parts. This course prioritizes project development, selection, planning, budgeting and cost estimation, scheduling, and termination, as well as the project manager’s role. This course provides students with techniques and context in survey creation and analysis. It emphasizes basic issues related to the design and analysis of sample surveys, the basics of questionnaire construction, sampling, data collection, analysis and data presentation. Serving as an introduction to the basic principles of causality and inductive logic in contemporary social and behavioral science, this course explores one, two, and multi-way layouts in analysis of variance, fixed effects models, and linear regression in several variables. It also overviews the Gauss-Markov-Theorem, multiple regression analysis, and basic principles of experimental and quasi-experimental designs. Accurately gathering statistics is vital to factual analytics. This course investigates design of probability samples, sampling populations of humans and unique challenges posed by such populations, simple random sampling, stratification, cluster sampling, systematic sampling, multistage sampling, probability proportional to size sampling, area probability sampling, and telephone samples. With a comprehensive combination of courses, Big Ten faculty and intuitive technology, the M.S. in Business Analytics will help you to develop quantitative skills that are transferable across industries. Each course follows an 8-week schedule, which means you can continue advancing your career while excelling in your current position. This format allows you to take multiple classes per semester, concentrate on one concept at a time, and keep your family commitments. Classes are designed by faculty who are experts in advancing research and leading conversations on the future of business. Engage with Big Ten faculty as you advance your career. The online program for M.S. in Business Analytics uses the Canvas learning management system, which is designed for easy and efficient use. Forget the standard PowerPoint presentation. Professors will frequently serve as on-camera guides to break down the lesson. Our mobile app will send you notifications for course updates and give you the option to message faculty or jump into coursework no matter where you are. The online program allows you to learn from anywhere in the world, but it doesn’t mean your professors will be distant. You can make the same connection with your instructors as students on campus. Tech stress won’t slow you down as you easily jump from one class to the next, finding a consistent structure that helps you focus on what’s important. The faculty who teach Nebraska’s M.S. in Business Analytics program bring real-world expertise and their research findings into the classroom. Our students benefit from working with professors who connect the classroom to the real world. Graduate students and alumni in business analytics can schedule an appointment with a Career Coach for a session in person or via online video chat. Your Career Coach will help you assess where you currently are in your career, what experiences you might need to move forward, review relevant job opportunities, help you market yourself effectively and connect you to alumni working in your desired field. Access to VMock—an online resume review tool used by the best business schools in the world—will give you instant, personalized feedback on your resume by using criteria gathered from employers and global best practices. An aggregate resume score, line-by-line suggestions and guidance on how to best market your competencies will help you improve your career strategy.